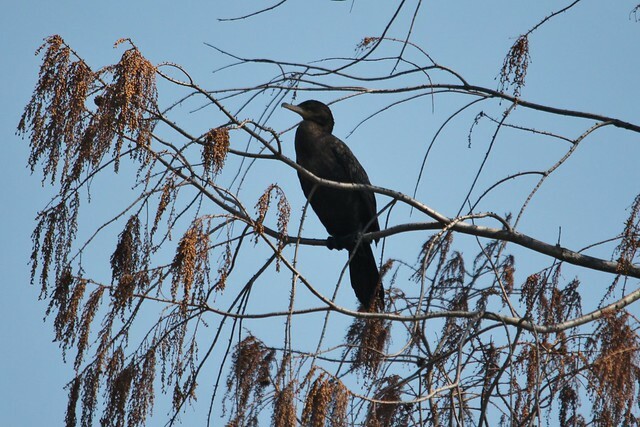 This past Tuesday a possible Neotropic Cormorant was found by Rob Fergus in a tree in the center of DeMott’s Pond, in Clinton New Jersey. 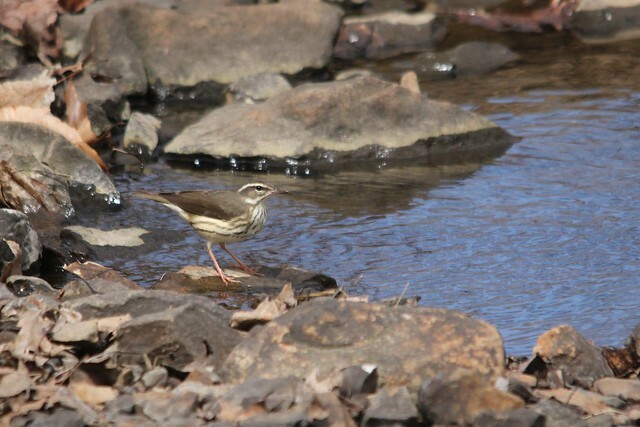 (Read his account HERE) There has been much debate about the ID (as you would expect for a bird normally seen in Texas) with some of the “heavier” discussion over on the American Birding Association ID Frontiers website. I had to go down and take a look for myself. 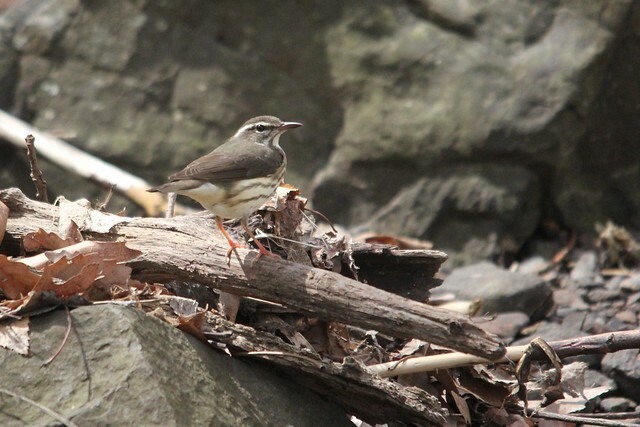 Definitely a smaller bird with a longer tail and lacking the yellow facial skin that a Double-created would show. It will be interesting to see how/what the records committee determines. Either way congrats to Rob on the awesome bird! Jeanette and I also went to Garret to see of the Yellow-throated was still around and to see if anything else new came in. No Yellow-throated Warbler but plenty of Pine and Palm and I saw two different Louisiana Waterthrushes sharing the stream behind the boat house. What a beautiful 70+ degree day today!